He’s Rafi Furcal, and he’s so happy right now. 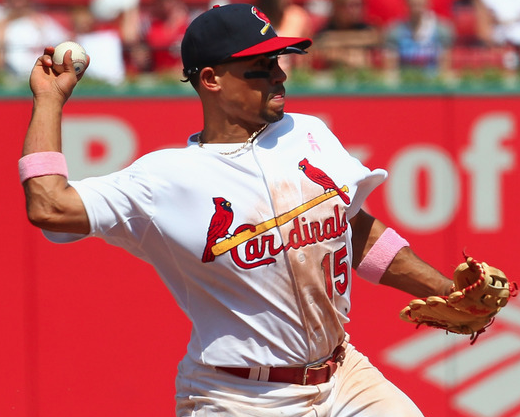 The St. Louis Cardinals would not be sitting atop the National League Central if not for the presence and production of veteran shortstop Rafael Furcal. 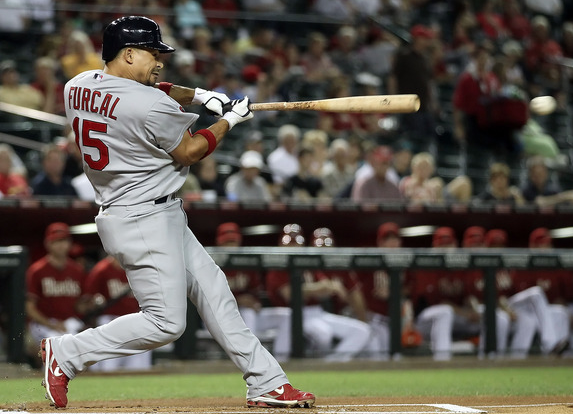 Through 35 games Furcal has 51 hits, 26 runs scored, and has reached base 43% of the time in 142 at bats. Only 3 players in all of Major League Baseball have more hits than Rafi, and his on OBP is by far the best by any leadoff man in the game (.425, +.012 points higher than Jeter). In fact, Furcal (and the leadoff spot in general) ranks top in a number of crucial offensive categories among NL leadoff men including runs scored, BA, OBP, RBI’s and OPS. He ranks 8th in all of MLB in OBP, the most telltale statistic of a quality leadoff hitter, with only power hitters ranking in front. His production continues on base, too. He leads the team with 7 steals and his 26 runs scored are just 7 behind the league leader. Furcal’s durability was questioned after signing a 2-year, $14 million contract. Rafi’s appeared in 35 of 36 games and his 142 at bats rank second on the team to iron man Matt Holliday. His presence in the everyday lineup has arguably been the most positive aspect of the 1st place start. Furcal’s defensive range and arm strength have benefited the entire pitching staff, especially Jake Westbrook. A winning baseball team is always solid up the middle. Catcher, shortstop, and center field are key cogs on the diamond. Last year at this point, Ryan Theriot was flailing around at SS, and 8 different players hit leadoff by the end of the season. Theriot held that spot for 83 games and finished with 46 runs and a .321 OBP. Cardinal leadoff hitters finished with 81 runs scored, last in the NL, and an OPS of .661, which ranked 15th out of 16 teams. Furcal alone is on pace for 117 runs scored, with an OPS .250 points higher than any Redbird leadoff man of 2011. Furcal’s health and contributions are crucial towards another NL Central Championship, especially with the thundering herd behind him.